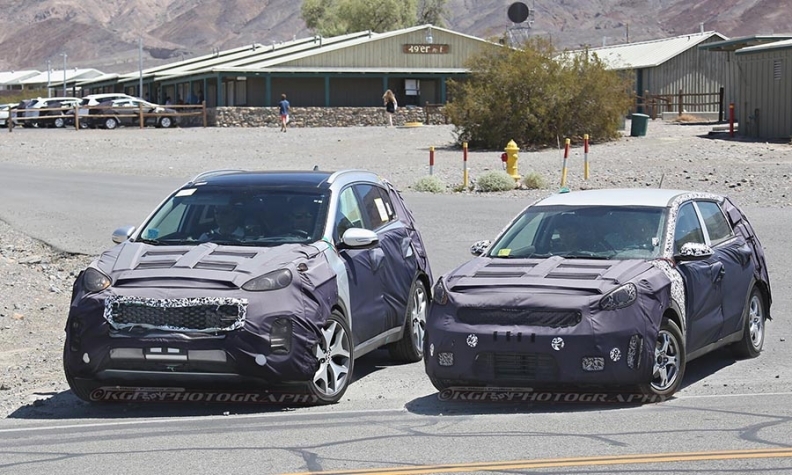 Kia's next Sportage, left, and a subcompact crossover, right, during recent testing. Kia Motors is gearing up for a run at the subcompact crossover market, one of the fastest-growing product segments in the U.S., with a hybrid variant. Spy photographers recently caught a fleet of the vehicles during some hot-weather testing. 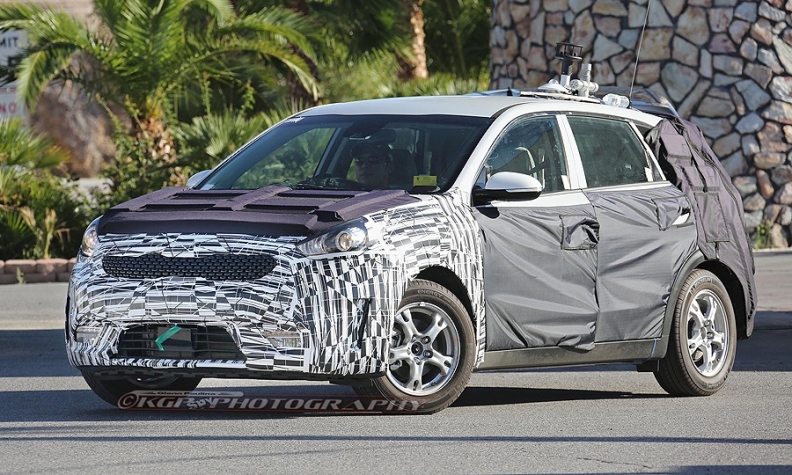 The Kia hybrid crossover was recently photographed while testing with two 2016 Kia Optima Hybrid prototypes, along with a Sonata Hybrid, a Honda Accord PHEV, and a Ford C-Max Hybrid. The Kia crossover is expected to feature the company's second-generation hybrid powertrain. 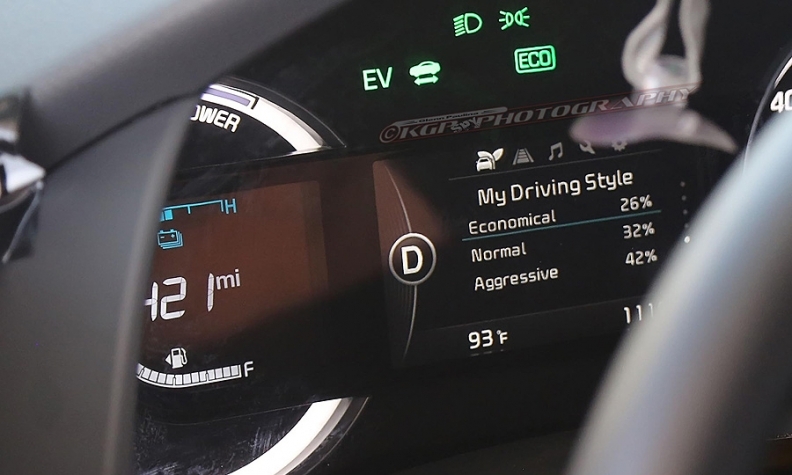 The instrument cluster on the Kia hybrid. Kia's planned hybrid crossover, capable of running in EV-only mode, appears to sport a unique body but is expected to share mechanicals with a dedicated hybrid planned by Hyundai. Like the Juke, the new Kia small crossover has its headlights planted high up on the front fenders, but they appear to be conventionally styled. Kia also appears to have given the rear of the vehicle plenty of room. There is very little rear overhang, as the wheels are at the corner of the vehicle. Kia's dedicated hybrid with small crossover styling. Also caught testing was the next-generation Kia Sportage compact crossover. It looks to be more aerodynamic than the current model. Visible in the spy photos are Kia’s trademark “tiger” grille. As with the current model, the new Sportage, due out around 2017, sports a pair of horizontal taillights, a gently sloping roof and dual exhausts on the upper-trim models.